A week or so back, my phone flashed with a news alert. 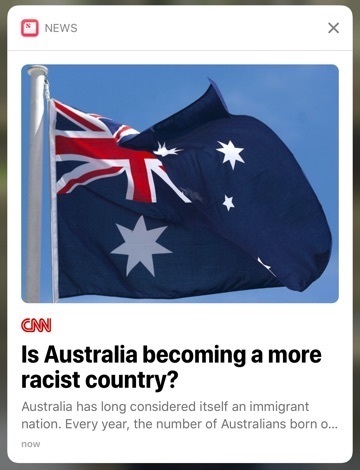 “Is Australia becoming a more racist country?” was the headline from CNN. This was days before a newly appointed senator stood up in the national parliament in Canberra on Tuesday afternoon and called for a “predominantly European immigration policy”. The strength of any nation is not found in comforting illusions wrapped in symbols and a flag, but by confronting challenges. That CNN report wasn’t prescient, nor was the new senator really saying anything new. Australia has long suffered fools, as do many nations, and Senator Fraser Anning is merely the latest to spout prejudice under the guise of policy. Condemnation of Anning’s speech was swift, and deserved. Prime Minister Malcolm Turnbull declared his support for Australia as “the most successful multicultural society in the world”. Labor’s foreign affairs spokeswoman Penny Wong on Wednesday said Anning’s speech did not reflect a nation “built by people from every country, every part of this world”. Yet the impression left of Australia for those outside – not only because of this latest episode – requires more than fine words from political leaders. Instead, the obligation falls to every citizen. The earlier CNN report had generated a backlash (of the social media kind) that illustrated what have become all-too-comforting divisions across society. There was “what about you” reaction – outrage that a media outlet from the US, a country that has separated children on the border, would dare take potshots at Australia. Others simply blamed the media writ large, with breezy complaints of “fake news”. Still more cheered as if the story offered a vindication of their own attitudes, such as on asylum seeker policy. But what was missing then is needed now – an effort to reinforce and celebrate the contemporary strength of Australian identity. This goes beyond condemning racism on convenient social media platforms and demands real-world conversations with colleagues, neighbours, and strangers about their everyday experience. Australia has a strong history of social cohesion. Yet the country is sometimes self-conscious about commending this record, knowing problems remain in the community, which some slyly attempt to exploit. Anning called himself an “Australian nationalist”, but what he really espoused was an attempt to bond by exclusion, to blame rather than resolve. He cobbled together a hodgepodge of grievances with contradictory solutions (less tax, more government spending) and looked back on the days of racially profiled immigration under the White Australia policy as if on a lost utopia. Yet modern Australian nationalism is so much more. The strength of any nation is not found in comforting illusions wrapped in symbols and a flag, but by confronting challenges. Anning peddled the myth of past “assimilation” by migrants, ignoring the rich cultural contribution to a society that throughout its history has constantly evolved, transformed by people and technology. This will be debated. 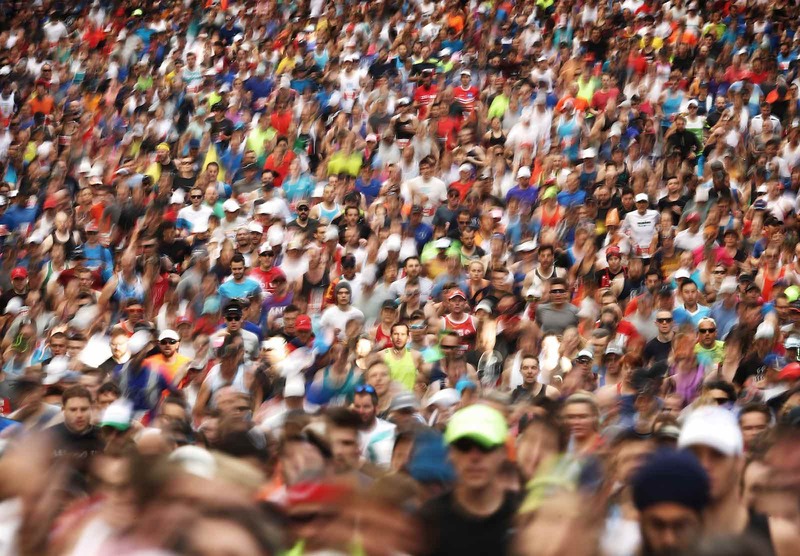 The 2018 Lowy Institute Poll showed conflicted attitudes on immigration, with 54% of people believing the rate to be too high in 2018, compared with 37% four years before. Yet a majority of Australians also consider immigration as essential to national identity, rather than as a threat to it. What the CNN story showed is that while racism is a habit of some in Australia, there are those willing to call it out. This is precisely the kind of debate that strengthens a country, by exposing the weakness of prejudice. Anning exposed himself, blithely invoking the “final solution”. Yet he has also given everyone another reason to have an uncomfortable conversation about racism – and that will make Australia stronger, both at home and abroad.